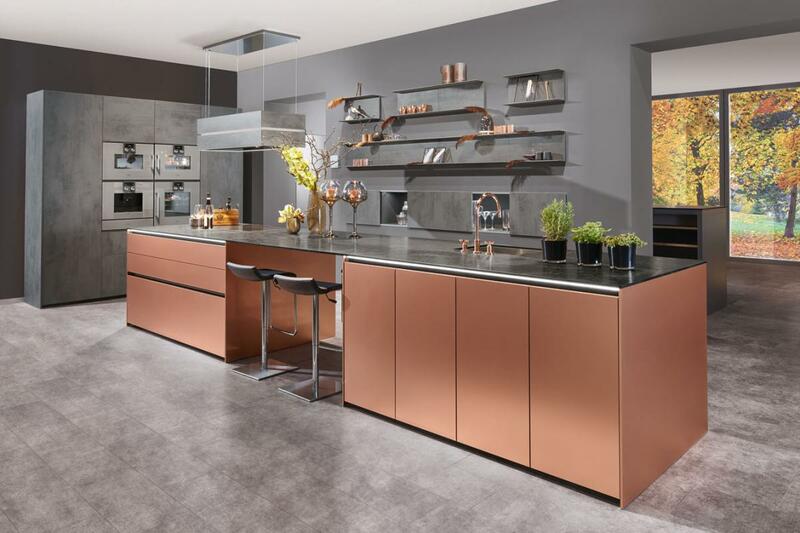 Beckermann kitchens are a leading German kitchens brand and have a pedigree of supplying quality, contemporary kitchens and is one of today’s leading manufacturers of high-quality kitchens. 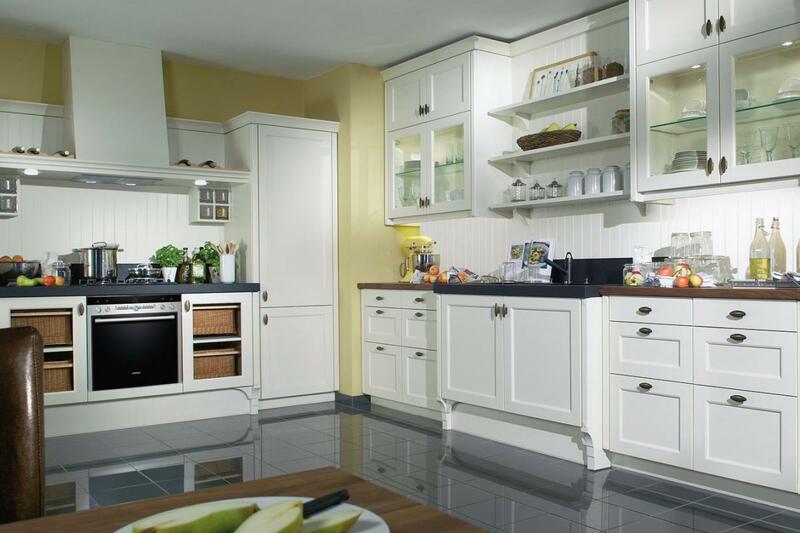 Beckermann is one of today's leading manufacturers of high-quality kitchens. Beckermann products show a genuine flair for contemporary design, precision manufactured quality and design ergonomics. 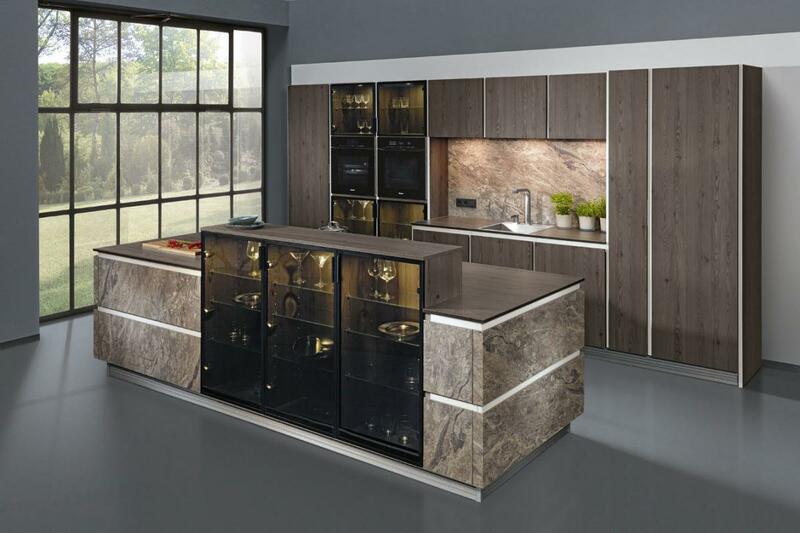 Beckermann kitchens are all about you and they are the premium kitchen designed bespoke to your needs. The extensive range of sizes means we can create designs with different heights for preparation, cooking, washing up and storage. Beckermann has a range of units sizes that you would not expect. 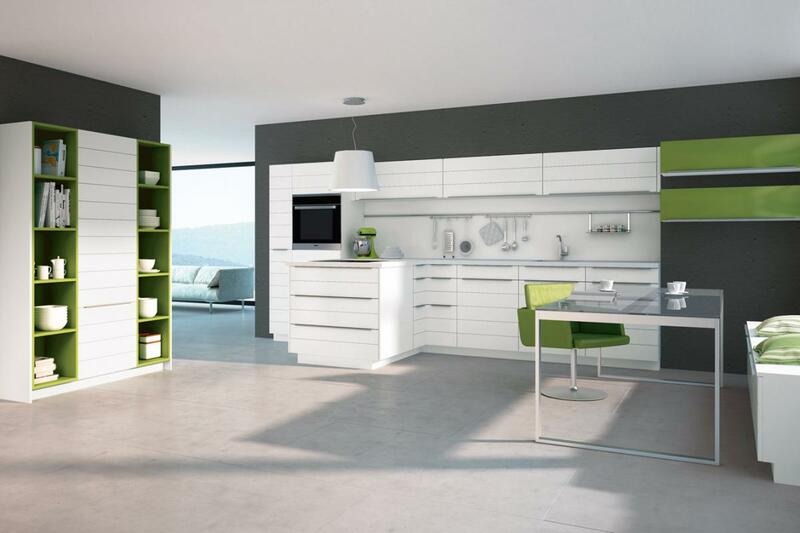 Wall units with single lift up doors that are available up to 1800m wide. They also have drawer units that are up to 1800mm wide and can be up to 715mm deep. 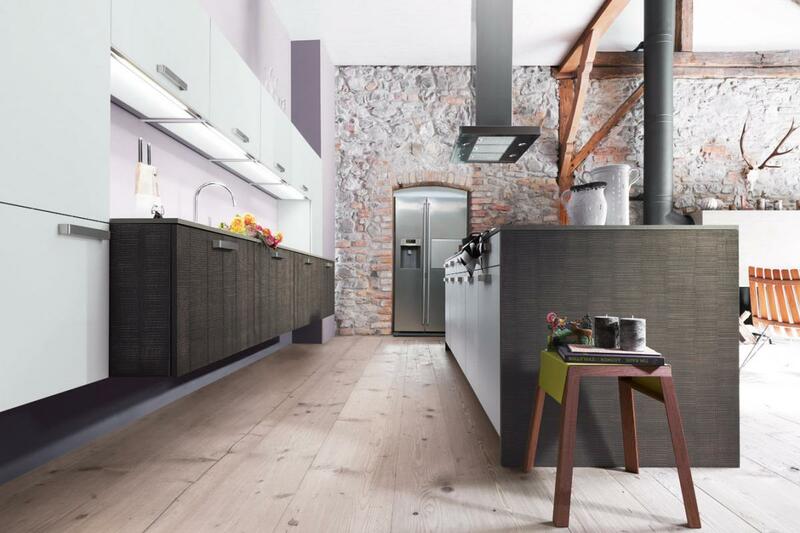 This range of dimensions creates possibilities for a kitchen design that are entirely new and stretch our designers to the extent that they are able to create unique new designs. 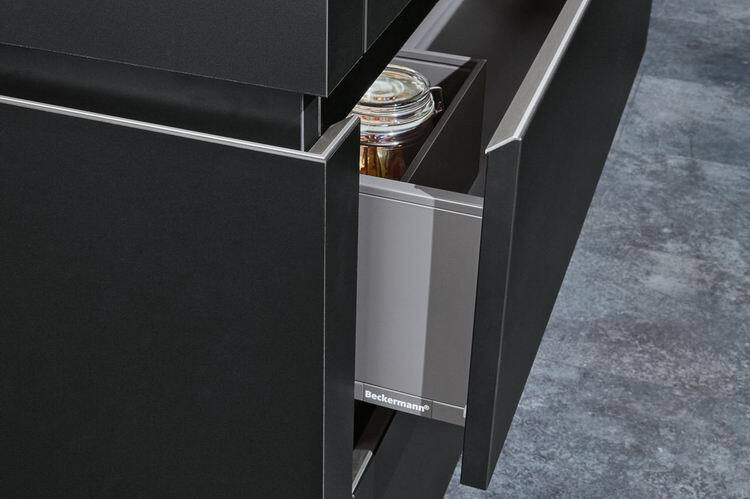 Never being content to be static and square Beckermann have newly introduced a range of curved units again keeping German kitchens in the forefront of the quality of production. 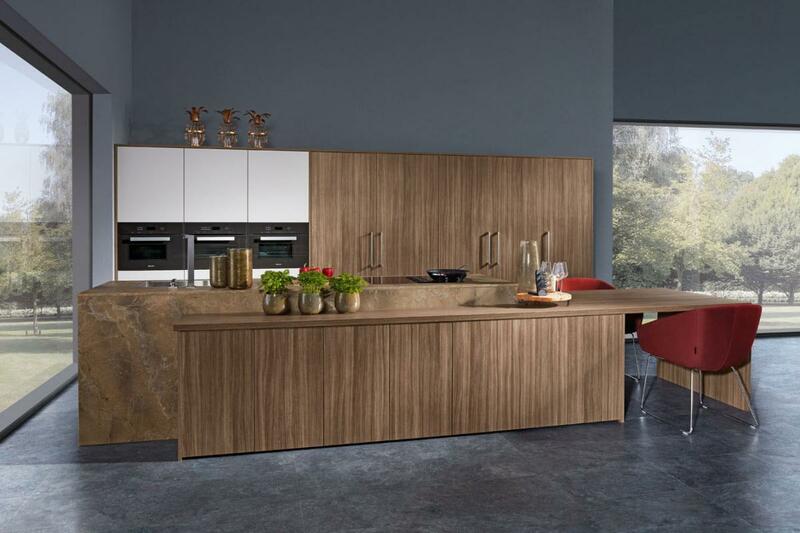 The handleless kitchens are examples of leading edge design with exclusive features. The latest innovation is the introduction of pocket doors allowing for the ovens, hobs and sinks to be completely hidden when not in use. The idea is not new but the solution from Beckermann is both original and affordable. 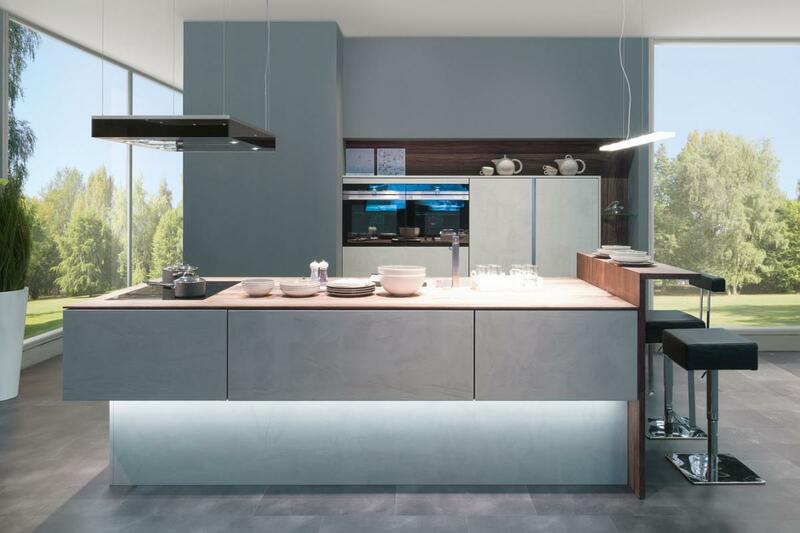 Our kitchen designers are experts in Beckermann kitchens and will ensure that your new kitchen will take full advantage of all the unique features of this superior range. 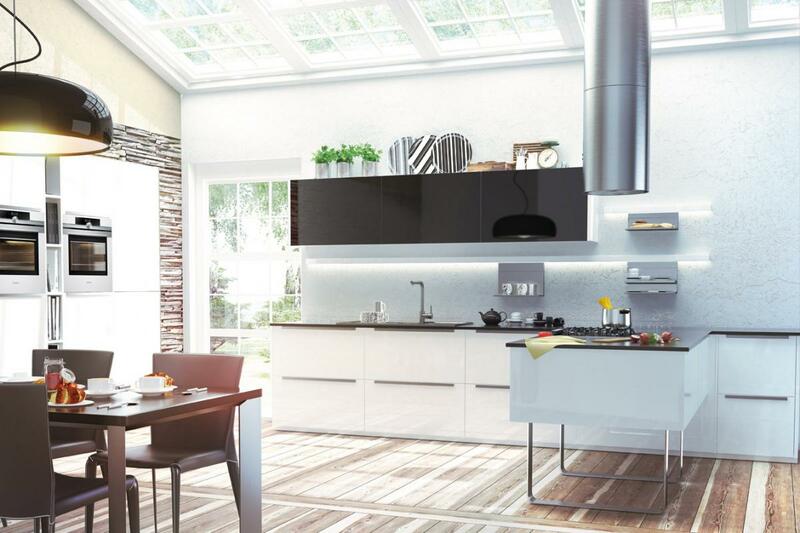 You really can now have a high-quality designer kitchen with features that could cost you twice as much from other German kitchen brands. Supplied as rigid furniture, factory assembled guaranteeing built to last quality. With design and product quality credentials suited to the mid to upper end of the market, the Beckermann portfolio delivers contemporary design across a range of price points for every budget. 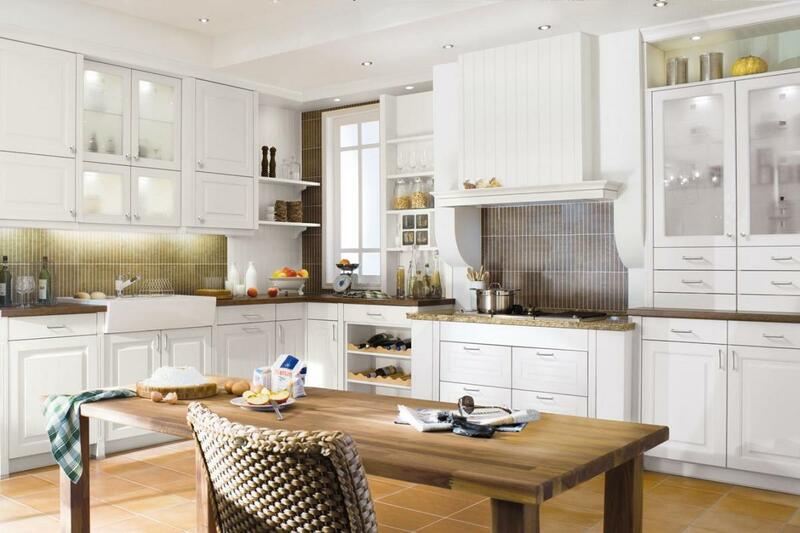 If you take advantage of our Free Internet kitchen design service then Beckermann is an opportunity to own a genuine quality kitchen and pay the price of an average one. 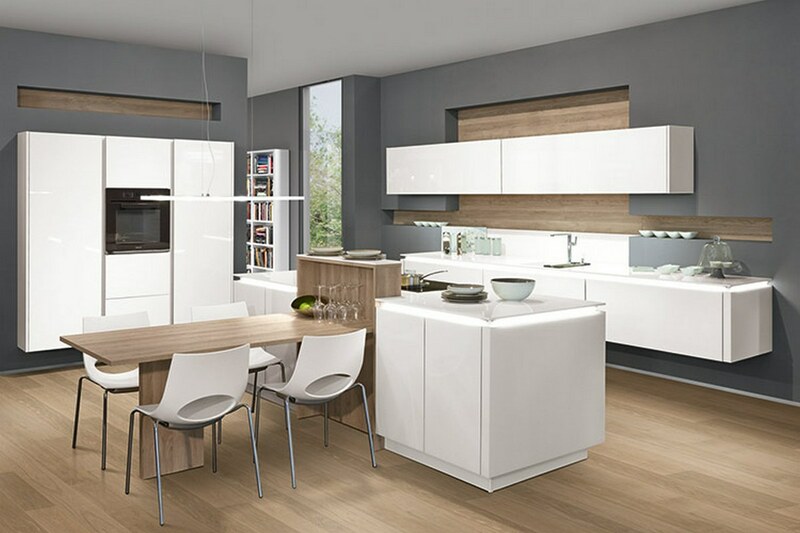 If your intention is to buy through another kitchen studio you will pay more for these high quality German kitchens. 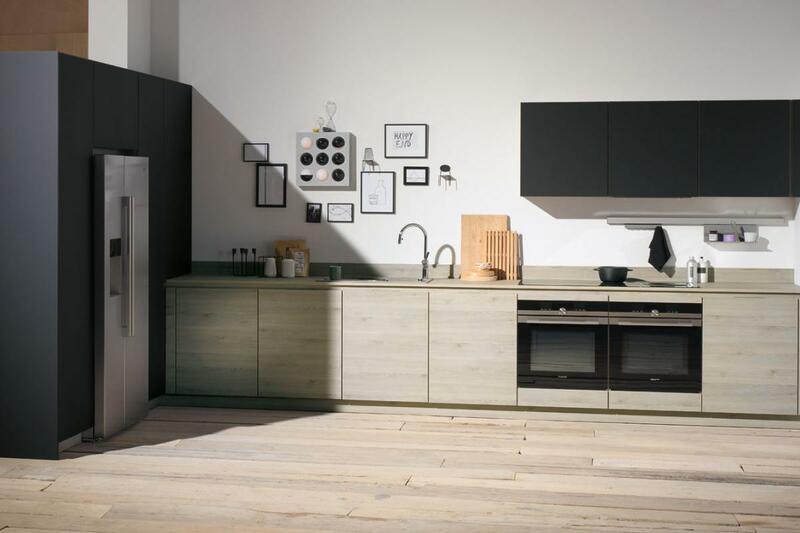 Beckermann kitchens feature the HGL Proline white gloss kitchen selected, for its contemporary appeal, in the new Raster format where the door and drawer configurations are made up in multiples of 128mm. Technical speak it may be, but it delivers real benefits for design and planning, as well as sharp, contemporary lines. 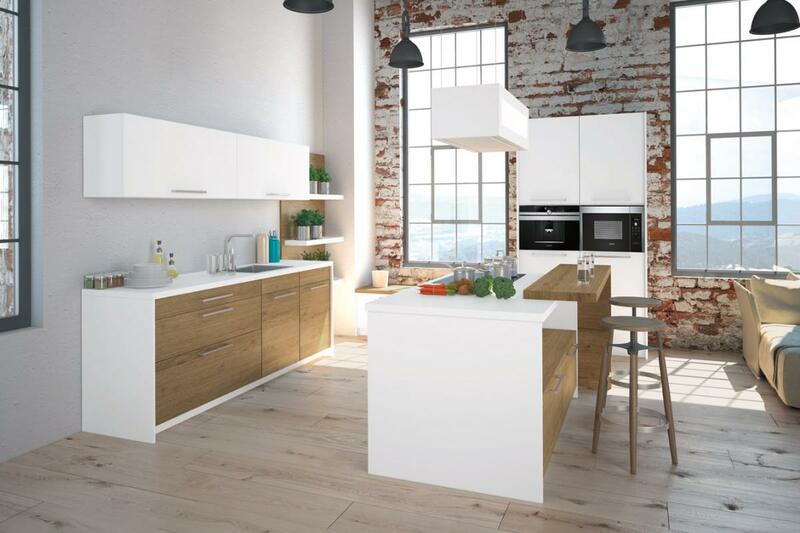 The HGL white gloss kitchen is shown with GLS glass doors, oak back panels and a deep 60mm laminate worktop, demonstrating the level of design simplicity and refinement that signifies the brand. 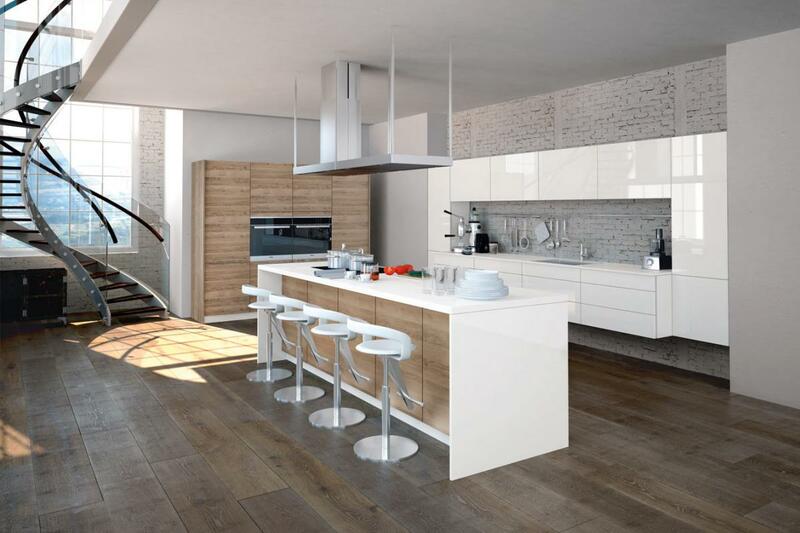 Beckermann kitchens are designed in height increments of 128mm. 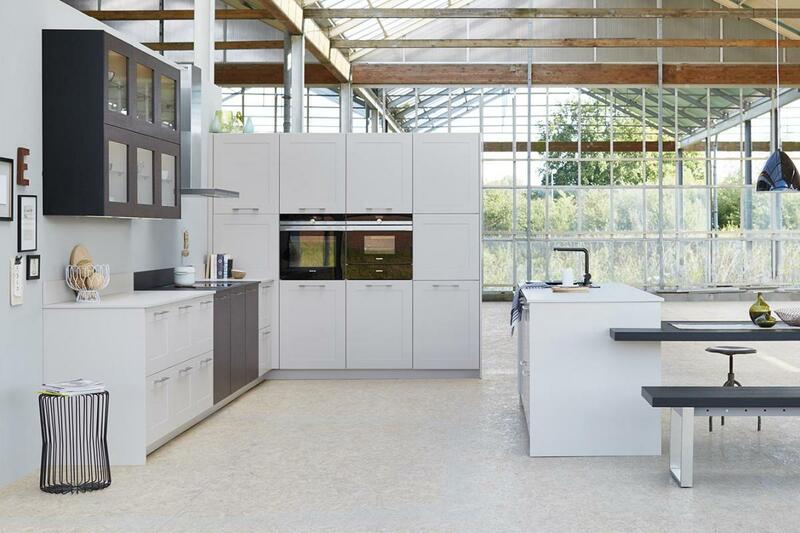 Kitchen wall, base, mid height and tall units are all built to the same specification so we can tailor the kitchen to suit your own requirements. The following is only a selection of images and does not represent the full range that is available. 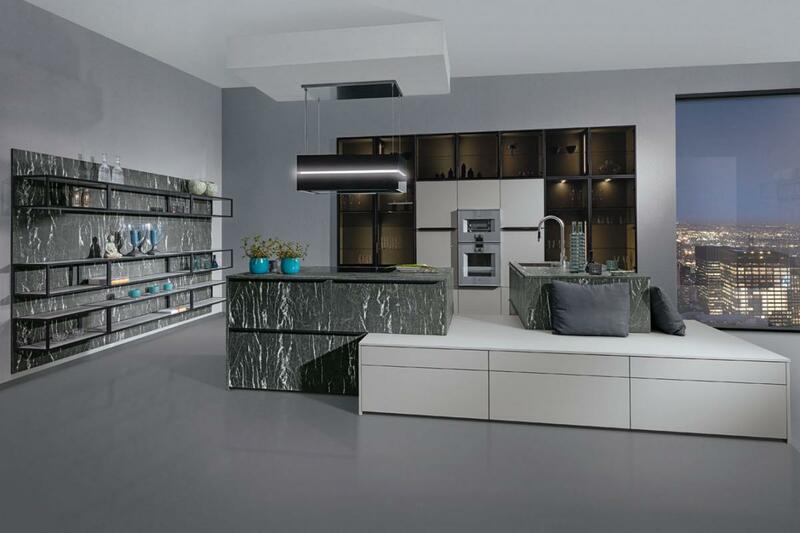 Beckermann offer the finest quality combined with sophisticated design to create a kitchen to your personal taste. 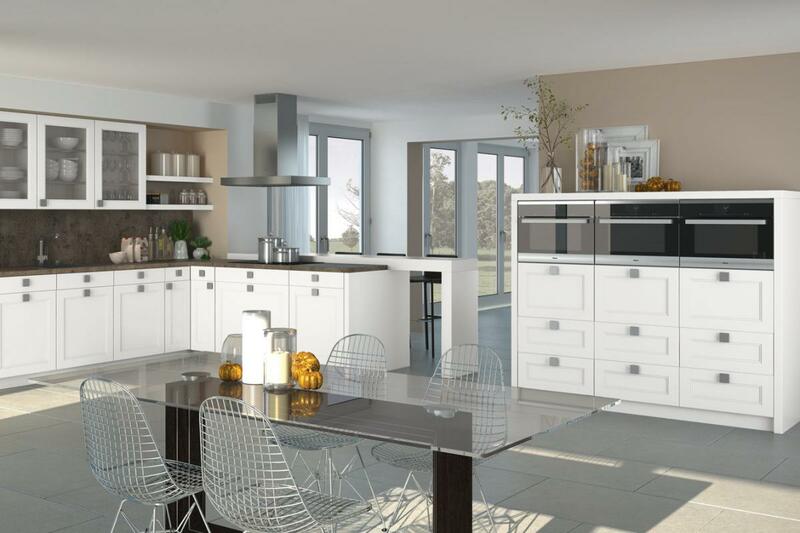 Take advantage of our FREE Beckermann kitchen design service and nationwide delivery service to see how much you can save. 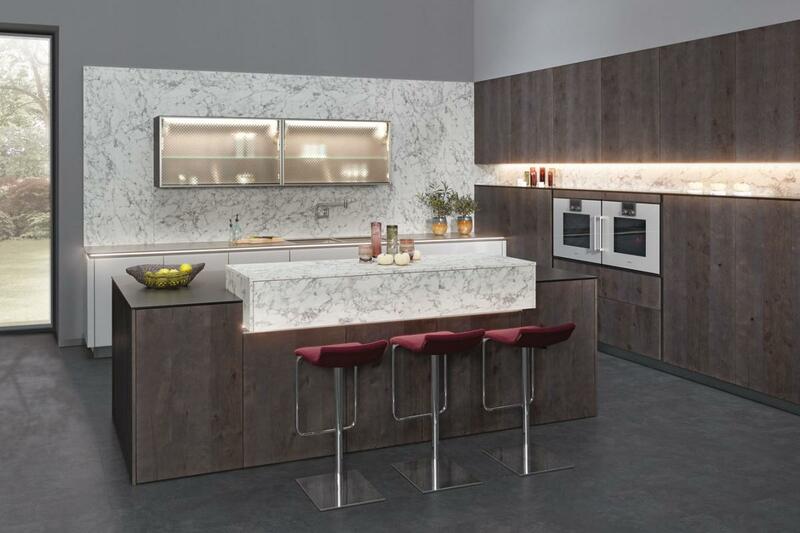 Beckermann kitchens now include handleless kitchens with minimalist design and maximum impact. 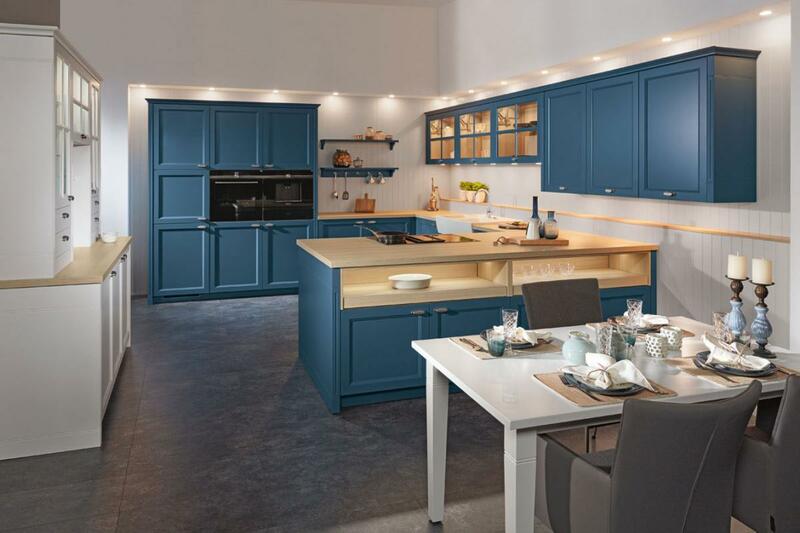 It is an ideal solution for combined kitchen and living areas when the exciting palette of colours and finishes are balanced to suit each area. 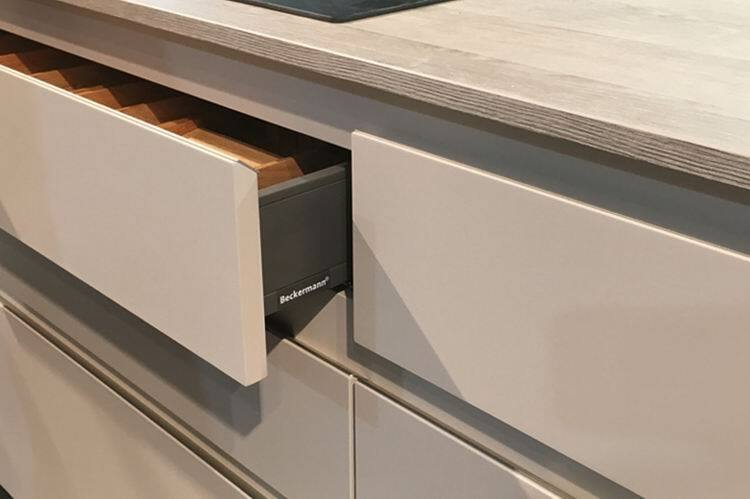 Beckermann Handleless kitchens have a continuous profile behind the door allowing for a finger pull to open kitchen unit doors and this removes the often unsightly look of handles often of varied sizes and locations on the doors. Cleaning and wear is also less of an issue with the fingers pulling on the rail from behind the door leaving the front surface clean and less finger marked. 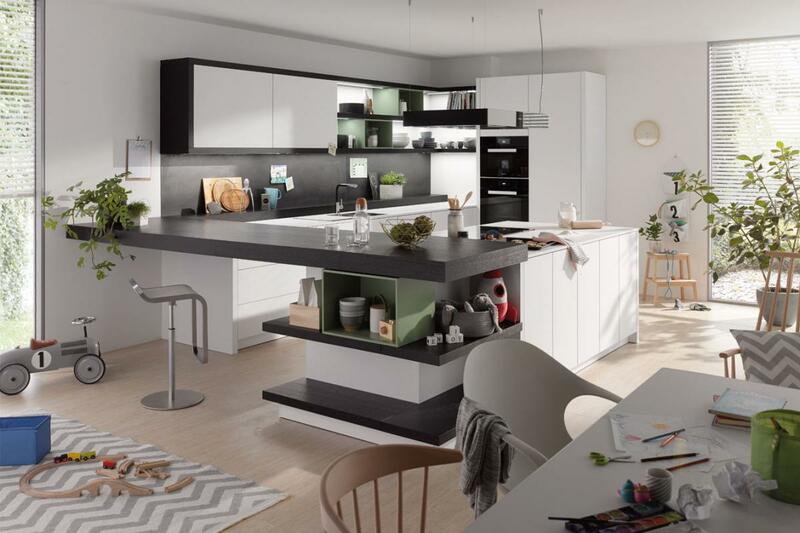 Take advantage of our FREE Beckermann kitchen design service and nationwide delivery service to see how much you can save. 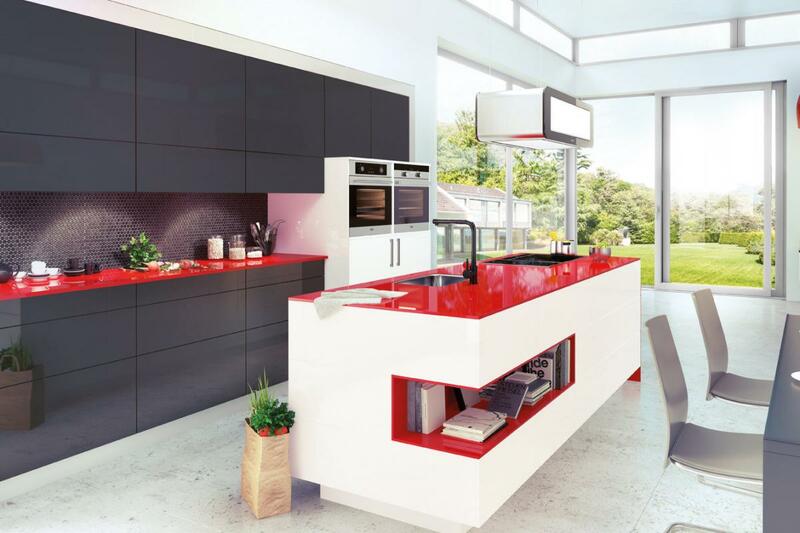 The decisive factor in ergonomic kitchen planning is the precise coordination of the working heights to the user’s measurements. Any and every imaginable height can be realised with the 128-mm grid stages and various plinth heights in proline 128. The well thought-out system guarantees a design-orientated look where every detail appeals, right down to the appearance of the joints. The formula for calculating the optimum personal working height is: Elbow height minus 15 cm for the preparation and washing-up areas. One exception is the cooking area: this is planned lower to make working at the hob easier. 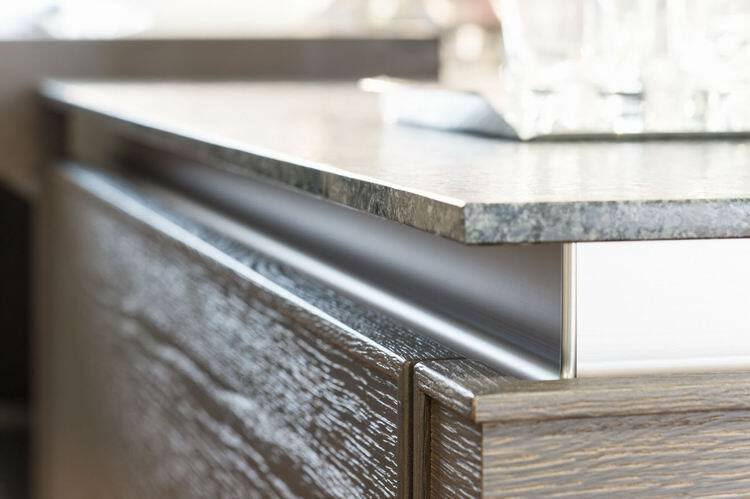 Tailored to you: our kitchen designers will work with you to establish the correct height of the working areas, tailored to you. The recommended working height is achieved by using different carcase heights in increments of 128 mm and various plinth heights. This system is unique to Beckermann. 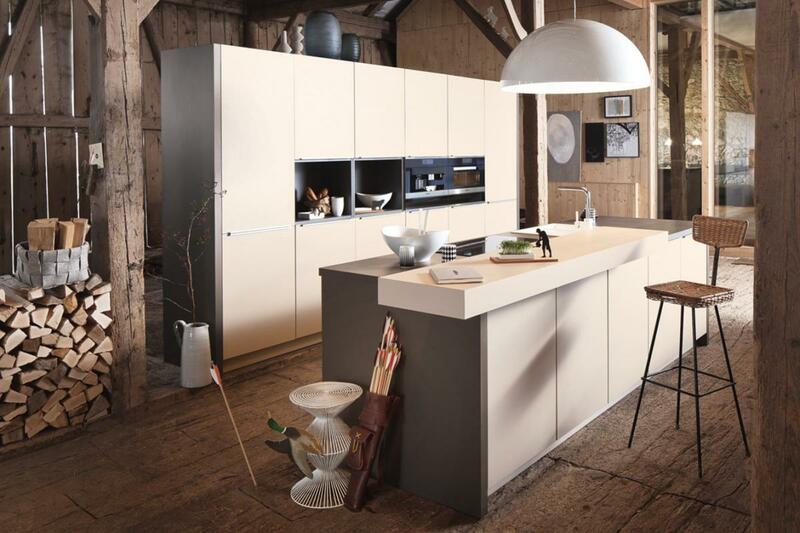 These are the highest quality German kitchens and they will not let you down.